Total capital invested is $2500.00 divided equally amongst all five companies. The combined yield is 5.56% and will increase my dividends by $138.82. Note: BP dividend yield is based on an increase from $.57 per quarter to $.585 per quarter. This was announced earlier today. I am pleased to announce that I surpassed $100 for this week. Due to the speculative nature of ARCP, I would like to note without ARCP my dividends will still increase by $100.33 + $16.80 (IBM increase see below). The only financial sacrifice made this week was when my wife asked me to take our dog to the groomer. By grooming I don't think she expected me to take the dog to the bath tub and wash her myself. :-) Even $45 can add up over time. It's the small sacrifices compounded that yield long term results. IBM announced today that it will increase its quarterly dividend from $.95 per quarter to $1.10 per quarter. This is a 15.79% increase. Since I own 28 shares my yearly dividends will increase by $16.80. All in all this has been a good first week. Total capital invested is $2000.00 dividend equally amongst each company. The combined yield is 4.77% and will increase my yearly dividends by $95.30. While one of my goals is creating a diversified portfolio, my primary goal is to finish the year with $14,500.00 in forward passive income. I currently am not on schedule. For the remainder of this year I will try to increase my yearly dividends by $100.00 per week. This is an ambitious goal and will require savings rates approaching 80%. This will require a major sacrifice for the balance of this year, but I am highly confident in the long term results that will follow. Going forward I will focus on more high yield companies in the following sectors---pharma, oil, tobacco, utilities, and telecom. Hopefully the market retreats some this year and I receive decent increases in my current holdings. Here are the purchases for this week. Total capital invested this week is $1900 ($400 each in GM, PAYX, PFE, CLX, and $300 in ESV). The combined yield of these five purchases is 3.85% and will add $73.15 to my yearly dividends. GM and Paychex are new additions to my dividend pipeline. GM shares have been hit hard recently in the wake of the ignition switch recalls. In late December 2013, GM was trading at an all time high near $42. Shares are currently trading below their IPO price of $33 from a few years ago. The dividend history is virtually non existent. Only one dividend has been paid ($.30) since its 2009 bankruptcy. It appears the company has made tremendous strides in product development and cost restructuring. I hope this can become a core holding over time. Paychex is down quite a bit from its recent highs (near $46) which also was reached in December 2013. This is the 26th individual company that I now own. I probably won't add many new companies this year. Instead, I will try to focus on adding to my current positions. Total new capital invested is $1600 ($400 in each company). The combined yield of these four companies is 3.98% and will add $63.98 to my yearly dividends. In other news, I finished my taxes yesterday and will start increasing my investments at the end of the month. I will keep adding to PFE, CLX, and ESV until I reach full positions. I am overweight in GE but its value continues to look enticing. Other stocks on my radar are PM, PG, TRV, PAYX, and VZ. I would really like to start a position in SO, but it took off way too fast. I'll be watching for it to get back to $40 before I buy. Procter and Gamble raised its quarterly dividend 7% from $.6015 a share to $.6436 a share. 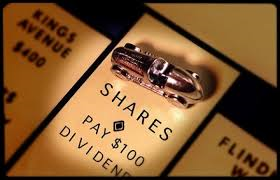 Since I own 55 shares, my yearly dividends will rise $9.26 from $132.33 to $141.59. Other companies that I own that have increased dividends this year are Pepsi, Cisco, Digital Realty Trust, and Coca Cola. Here is the passive income I received during March. Total retirement account income is $685.39. Total new capital invested is $1600.00 ($400 in each company). The combined yield of these purchases is 3.96% and will add $63.36 to my yearly dividends. I wanted to buy more share of BAX, but the stock popped quite a bit last week. 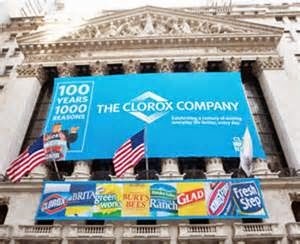 Clorox is not cheap here, but you can grow old waiting to invest in a great company like this! I plan on building a full position in CLX throughout the year.